Iran, Lebanon, Russia, and India—It is about Power and Oil! In a recent article – Iran Reaches the Mediterranean I indicated that for Muslims, three cities of the Christian faith have particular significance: Jerusalem, Constantinople and Rome. The fall of Constantinople is described in detail in my earlier book, The Clash of Ideologies--The Making of the Christian and Islamic Worlds. Iran with its relations and support of Hamas and Hezbollah now has access to the Mediterranean and is the neighbor of Jerusalem. Italy was the first country from which Iran withdrew is funds. In my new book, Islamic Economics and the Final Jihad – The Muslim Brotherhood to the Leftist/Marxist – Islamist Alliance I discuss how this Alliance is coalescing on a global scale through the Shanghai Cooperation Organization (SCO) and Mercosur in South America. Although, the world is focused on the potential for destruction by Weapons of Mass Destruction (WMD), the real potential for an economic holocaust exists as discussed in the book: Islamic Economics and the Final Jihad. The asymmetric War being waged is occurring simultaneously through terrorism, military action and economic means. The conflicts in the Middle East can not resolved leading to sustainable peace until the U.S. and the West develop a strategy for energy security and self-sufficiency. Implementing a strategy for self-sufficiency will needless to say be expensive and require sacrifice. Continued military action and endless conferences will not resolve the issues. The unacceptable alternate option is to accept totalitarian rule and elimination of our freedom and liberty. Russia and Iran Challenge OPEC – Russia Leaves the West? Recent events in Palestine, Lebanon and Egypt make it imperative that we pay heed to the apocalyptic teachings of Islam—both Shia and Sunni. Then you must also recall the events of 1914 leading up to WW1. One should also consider that following WW1 and the fall of Ottoman Empire’ the secular government of Ataturk in Turkey was formed and also that following these events the Muslim Brotherhood was formed. Today, Turkey is again an Islamic state. The assassination of the Austrian archduke by a Serbian nationalist terrorist provided the senescent Austro-Hungarian Empire the excuse it had been looking for to wipe out the Serbian nationalists, which provoked the pan-Slavic nationalists at work for the czar to threaten the Austro-Hungarians with destruction, which led Germany's Kaiser to pledge retaliatory war against Russia, which prompted the French, who had an anti-German alliance with Russia, to begin mobilization. . . . Nobody wanted global conflagration, yet nobody knew how to stop it, and the American president (Woodrow Wilson, who was not yet a Wilsonian) did nothing to help avert the coming war. Within a month, the war came, and it took the remainder of the 20th century for the world to fully recover. The Leftist activists of the world are decrying the “lack of proportionality” in Israel’s response to the unprovoked attack on its military personnel and civilians within the State of Israel, it would be important to recall a similar episode in United States history. In a personal communication from Dr. Steve Carol Senior Fellow Center for Advanced Middle East Studies he recalled the situation on March 6, 1916, where a group of 360 Villistas (followers of Pancho Villa) crossed the international border between the United States and Mexico and attacked the town of Columbus, New Mexico. Their immediate goal was to obtain weapons from the nearby headquarters of the U.S. 13th Cavalry. 18 Americans were killed and additional 9 were killed in pursuit of the attackers back to the border. German agents directed by Luther Wertz, a key German operative in Mexico, led the raid. Germany wanted to keep the United States out of World War I, which was then raging, and sought to divert U.S. attention from Europe to south of the border. The unprovoked attack on the United States triggered demands for retaliation and punishment of the raiders. There was no talk of “proportional” response. As a result, President Woodrow Wilson ordered General John J. “ Blackjack” Pershing and 6,000 American troops on a “Punitive Expedition” into Mexico. The force crossed into Mexico some two weeks after the initial attack and would penetrate some 300 miles into Mexico. During its nine-month stay in Mexico, U.S. forces would clash with Villistas as well as with Mexican Federal troops. The Villistas again attacked the United States on May 5, 1916, raiding Glen Springs and Borquilla, Texas. This prompted President Wilson to send an additional force of 8,000 troops into Mexico. On June 18th he additionally called up the Texas, New Mexico, and Arizona National Guard and sent 150,000 men to patrol the U.S. border. Wilson also placed an arms embargo on Mexico, which included food and even horses. On June 24th there was a clash between U.S. and Mexican forces at Carrizal, with 84 U.S. soldiers being surrounded by superior Mexican forces. Over half escaped but 14 were killed and 24 U.S. servicemen were taken prisoner. U.S. forces while in Mexico, did not catch Pancho Villa, but they crippled his ability to strike at the United States and inflicted heavy casualties on his forces. The American force was withdrawn, unexpectedly, on January 25, 1917, not due to any Mexican or international pressure, but rather because the U.S. had obtained information that Germany intended to resume unrestricted submarine warfare, a step that would bring the U.S. into World War I. Additionally the U.S. had obtained proof, via the Zimmermann Telegram that Germany was seeking an anti-U.S. alliance with both Mexico and Japan. Thus the U.S. force was withdrawn so as not to give Mexico additional cause for considering such an alliance. I review this familiar history for those of us (myself included) who've been wondering how the kidnapping of three Israeli soldiers (and the killing of eight others in the Hezbollah raid) has escalated in less than a week to what may be the brink of a cataclysmic regional war with ghastly global implications. The two crises and the sets of conflicting forces are by no means parallel, but in each the power of nationalism, the sense of national victimization, the need for revenge, the opportunity for miscalculation, the illusion of attainable victory, and all-around fear and rage loom large. If you thought that the latest Middle East crisis is just another in the endless war of Arabs and Jews killing each other, you’re wrong. There is a telltale sign that there is a major new development underlying this bloodshed and mayhem. That sign: the world's Arab powers have not launched their customary tirades against Israel. Indeed, astonishingly, the collective voice of the Arab world, the 22-nation Arab League, has criticized the Hezbollah, the Iranian Shiite Muslim sponsored terrorist group that is attacking Israel from Lebanese territory. This should not be interpreted, as some have described, as a moderation of their anti-Semitic position toward Israel. The Arab League blamed Hezbollah for “unexpected, inappropriate and irresponsible acts” in kidnapping two Israeli soldiers and launching missiles at Israel. It is the first time that the Arab League has criticized any Muslim force engaged in a war against Israel. Thus, setting the stage for the renewed conflict between Shia and Sunni on a world scale. Although there is no such thing as pan-Shiism, or even a unified leadership of the community, the Shiites share a coherent religious view since splitting off from the Sunnis in the seventh century over who was the legitimate successor that was to lead the Muslims. As described in Islamic Economics and the Final Jihad, the lack of a unified leadership does not preclude their desire to form the Ummah (Islamic community) among all Shiites. The Shia have developed their own concept of jurisprudence (Shariah – Islamic Law) and practice. The separate schools of jurisprudence do in fact complicate Islamic financial transactions. The sheer size of the Shia population today makes them a powerful constituency. Shiite population accounts for 90 percent of Iranians, the majority in Iraq, some 75 percent in Bahrain and 45 percent of Lebanon. Some 70 percent of the people living in the Gulf region are Shiites. Why is Hezbollah making provocative attacks on Israel? Iran sees itself as the region's great power. Iran is feeling under threat, and, at the same time, feeling a surge in its own potential power. It feels under threat because the U.S. invasions of Afghanistan and Iraq have brought American forces onto its frontiers. However the Shiites seek to cooperate in a limited fashion with the U.S. in Iraq, maintaining a measured degree of instability to keep the pressure on the Sunnis until they have accomplished their goal of total control. Keeping the U.S. bogged down in Iraq, opening the new front in Lebanon reduces the pressure on Iran and their nuclear ambitions and prevents attention to potential near conflicts in Latin America as we discuss below. This role of the U.S. in Iraq emboldened the rise of Shiism throughout the region. The Middle East that will emerge from the crucible of the Iraq War may not be more democratic, but it will be more Shiite and it will be more fractious. Such actions will lead to the desire of both Shia and Sunnis to increase armaments of WMDs including nuclear capability and likelihood of further armed conflict. It should be remembered that far more people have been killed in the conflicts between Sunni and Shiites than between the Arabs and Israel. And it is this sense of vulnerability that is helping stir the thrill of its own potential power. Yes, the invasion of Iraq did bring the U.S. uncomfortably close to Iran, but it also removed the threat posed by Saddam Hussein, a trenchant enemy. The invasion of Iraq also gave new urgency to the Iranian project to acquire the nuclear bomb, an act of insurance lest the U.S. decides to move against another of the “axis of evil” states. In the interim, however, the chaos in Iraq and America's apparent helplessness has tempted Iran to think of the U.S. as being weak. And the election of Mahmoud Ahmadinejad as President has reinvigorated the revolutionary fervor and apocalyptic teaching in the Islamic Republic of Iran. Prime Minister Nouri al-Maliki of Iraq on July 19 forcefully denounced the Israeli attacks on Lebanon, marking a sharp break with President Bush's position and highlighting the growing power of a Shiite Muslim identity across the Middle East. The comments by al-Maliki, a Shiite Arab whose party has close ties to Iran, were noticeably stronger than those made by Sunni Arab governments in recent days. Those governments have refused to take an unequivocal stand on Lebanon, reflecting their concern about the growing influence of Iran, which has a Shiite majority and has been accused by Israel of providing weapons to Hezbollah, the Lebanese Shiite militant group. A growing number of Iraqi officials have stepped forward in recent days to condemn Israel. Their stance also calls into question one of the rationales for the U.S. invasion of Iraq - that a U.S.-backed democratic state here would become an ally of Israel and catalyze a change of attitude across the rest of the Arab world. Saudi Arabia is also upset by the possibility of Iran developing nuclear capability and hence will probably not standby without developing their nuclear capability, which in all likelihood is underway. The recent world events lead one to the conclusion that there are three principle players in this current struggle—the Shia faction represented by Iran and their surrogate pawns represented by the Hezbollah or Hizbollah/Hizbullah or Hezb'Allah (meaning Party of God) in Lebanon and Syria, Hamas in Palestine, the Sunni faction including Saudi Arabia, Egypt and other predominant Sunni countries and the Israel aligned with the United States. However as reported by Lydia Georgi - RIYADH in Middle East Online it should be noted that Saudi Arabia, has indirectly blamed the Iranian-backed Hezbollah for Israel's onslaught against Lebanon, is wary of Tehran using Arab states to pursue its own agenda, experts said July 18, 2006. The oil-rich kingdom last week accused the Shiite militant movement, without naming it, of “adventurism” that put all Arab countries at risk by capturing two Israeli soldiers and triggering Israel's offensive. “It is necessary to make a distinction between legitimate resistance and uncalculated adventurism by certain elements,” an official source said. “The kingdom is not concerned by the extension of Iran's influence per se but by the fact that it uses Arab countries such as Syria, Lebanon and Iraq to pursue its political interests,” commentator Qenan al-Ghamdi a columnist for the Saudi Al-Watan daily, said. “When these countries land in trouble, it is Saudi Arabia that bears the consequences, as happened in Lebanon in the past and will happen again now” after the devastation caused by Israel's attacks, he said. Some will recall that back in 2000, Hezbollah was held up by fellow Shiites as well as Sunnis and some Christians as a model for resisting Israel. The division today springs from the reality that did not exist six years ago—the rise to power of the Shiites in Iraq and the recurrence of increasing tensions between the Shiites and Sunni. The withholding of condemnation of Israel by Saudi Arabia did not last long. In a report by Aljazeera on July 25, 2006, the Saudi king Abdullah has warned that war could break out in the Middle East if attempts to broker peace in the region fail. In a statement read out on state television on Tuesday, King Abdullah said, "If the option of peace fails as a result of Israeli arrogance, then the only option remaining will be war, and God alone knows what the region would witness in a conflict that would spare no one." His remarks were unusually forthright for the world's top oil exporter, which has called for ceasefire but blamed Lebanon's Hizbollah guerrilla group for the crisis that has so far killed at least 413 people in Lebanon and 42 Israelis. The comments also appeared to be aimed at the United States, Israel's ally that has resisted calls for an immediate ceasefire. Saudi Arabia pledged $500 million to rebuild Lebanon and $250 million for the Palestinians. The kingdom will also transfer $1 billion to Lebanon's central bank to help its economy. The diplomat said the financial support was a sign of a tussle for influence once the fighting stops in Lebanon between Iran, backing Hizbollah, and Arab states, behind the government. The Rome Conference on Lebanon takes place on July 26. Among those expected at the Rome conference are: the United States, Russia, Britain, France, Germany, Italy, Egypt, Jordan, Saudi Arabia, the World Bank, the United Nations and the European Union. The recent events are a reminder of the events leading to the Arab Oil Embargo of 1973-74, which then led to the Euro-Arab Dialog (EAD) that pitted European countries against the U.S. in need to gain access to oil. It was also the EAD that led to the beginning of the Islamization of Europe. The events surrounding the Embargo and the EAD are documented in Eurabia: The Euro-Arab Axis by Bat Ye’Or and Islamic Economics and the Final Jihad. Saudi Arabia sponsored and hosted the Taef accord of 1989 which ended Lebanon's 15-year civil war in 1990 and has since helped fund its reconstruction. In the current crisis, it has offered 50 million dollars in immediate aid. The Taif accords transferred power away from the Lebanese presidency, traditionally given to Maronites, and invested it in a cabinet divided equally between Muslims and Christians. The Taif accords also declared the intention of extending Lebanese government sovereignty over southern Lebanon. Though Israel eventually withdrew from southern Lebanon in 2000, armed Hizbollah militia remained in control of the area, apparently maintaining a tacit arrangement whereby Hezbollah could harass Israel within limits, but not so seriously that it would provoke a massive retaliation. The Hezbollah essentially created a separate state within Lebanon. A state that did not benefit from the economic gains in the Lebanon reconstruction after the civil war. Even if Syria, which is an ally of Shiite Iran and likewise a supporter of Hezbollah, were attacked by Israel, Saudi Arabia would also end up footing the bill. A member of the appointed Shura (consultative) Council, who asked not to be named, said Saudi Arabia could not sit back and watch Lebanon being used “as an arena for settling scores or waging proxy wars”. At the same time the Shia faction has built up their alliance of countries stretching from Iran to the Mediterranean—including Iraq, Syria and recently Lebanon and Palestine. It has been the long-term goal of the Sunnis to build a Pan-Arabic Ummah stretching from Indonesia to Andalusia (Spain). The only country blocking total access is Israel. A result of the Iraq war was to oust control by the Sunnis from Iraq and replace it with a Shia dominated government. In many respects this has placed the U.S. military in the crosshairs of the Sunni faction. According to report in the Financial Times on July 20, 2006, to appease the Sunnis, the U.S. yesterday said it had decided not to impose sanctions on Saudi Arabia over its policies towards religious practices and minorities following commitments by the kingdom to halt the dissemination of extremist ideology and to promote tolerance of non-Muslims. John Hanford, ambassador-at-large for international religious freedom, was due to explain to Congress why the State Department would issue a waiver for Saudi Arabia under the Religious Freedom Act. Saudi Arabia was designated a “country of particular concern” under the act in 2004. Hezbollah and al Qaeda are known to have cooperated in the past, but it doesn't appear they have worked together closely. The main reason for this is sectarian. Al-Qaeda is mostly made up of Sunni Muslims and Hezbollah is mostly Shiite Muslims. However, in spite of comments above, there is a recent trend for Sunnis and Shiites to cooperate against a common enemy, i.e., the United States and Israel, so don't be surprised if something more turns up. Hezbollah is trying to both destabilize Lebanon's anti-Syrian government and promote itself as a powerful, regional, revolutionary group. Hezbollah seeks influence beyond Lebanon. Aside from al Qaeda, no terrorist group has killed more Americans than Hezbollah, which is bankrolled by Iran to the tune of at least $100 million a year. Hezbollah's main theaters of operation are Lebanon, its home country (where it killed hundreds of Americans during the 1980s), and the West Bank and Gaza, where it helps Palestinian rejectionists target Israel. But the group is active in the United States as well. Hezbollah is believed to have cells in at least 10 U.S. cities, according to an article in the Washington Times on May 24, 2005. It is interesting to note that Hezbollah operatives have sneeked into the U.S from Mexico. In March 2005, Mahmoud Kourani of Dearborn pleaded guilty to providing material support for Hezbollah. He will be sentenced next month. Kourani (whose brother is Hezbollah's chief of military security in southern Lebanon) is an illegal alien who sneaked into the United States from Mexico in February 2001. Federal authorities have repeatedly arrested suspected Hezbollah operatives for attempting to smuggle night-vision goggles and other military equipment to the organization. One suspect, arrested in 1998, skipped bail and fled to Lebanon before returning to the United States last year to face federal charges. In 2003, a federal court convicted a Hezbollah cell based in Charlotte, N.C., on charges of aiding Hezbollah by operating a cigarette-smuggling ring. The leader of that group, Mohammed Hammoud, received 155 years in prison. “The fundamental blame falls again on the U.S. empire. It's the empire that armed and supported the abuses of the Israeli elite, which has invaded, abused and defied the United Nations for a long time,” Chávez said in a speech during a military act in Caracas. It should be noted that Venezuela is a major oil suppler to the U.S. and through their Citgo, which is wholly-owned by Petróleos de Venezuela. On July 12, Venezuela's state-owned oil refining subsidiary in the U.S. is to halt petrol distribution to about 1,900 filling stations in the U.S., although the company denied on Wednesday the decision was motivated by tensions between Caracas and Washington. Latin America accounts for 8.4 per cent of daily world oil output, according to the U.S. Energy Information Administration, but energy supplies from the region make up 30 per cent of U.S. energy imports, or about 4m barrels a day. According to an article in the Financial Times on June 25, future supplies of oil from Latin America are at risk because of the spread of resource nationalism [The doctrine of the Petroleum Commons. ], a study by the U.S. military that reflects growing concerns in the U.S. administration over energy security has found. An internal report prepared by the U.S. military’s Southern Command and obtained by the Financial Times follows a recent U.S. congressional investigation that warned of the U.S.’s vulnerability to Venezuelan President Hugo Chávez’s repeated threats to “cut off” oil shipments to the U.S. In an article in the Financial Times on July 24, Andy Webb-Vidal in Caracas reported that: Richard Lugar, chairman of the US Senate foreign relations committee, has urged the Bush administration to adopt specific “contingency plans” for a potential disruption to oil supplies from Venezuela. In a letter sent to Condoleezza Rice, secretary of state, last Friday, a copy of which has been obtained by the Financial Times, Mr Lugar warned the US that it needed to “abandon” reliance on a “passive approach” to energy diplomacy. Mr Lugar's warning follows the release last month of an investigation by the Government Accountability Office (GAO) which found that the US was ill-prepared for an oil embargo by Venezuela, the world's fifth largest ex­porter. President Hugo Chávez, whose government has been emboldened by a torrent of oil revenues, has several times warned that he would “cut off” oil supplies to the US if Washington persisted in allegedly plotting his overthrow. “Venezuela's leverage over global oil prices and its direct supply lines and refining capacity in the US give Venezuela undue ability to impact US security and our economy,” Mr Lugar wrote in his letter to Ms Rice. The GAO study, commissioned by Mr Lugar, a Republican, estimated that a Venezuelan oil boycott would raise oil prices by $11 (€9, £6) per barrel over a six-month period and reduce US economic output by $23bn. Bernardo Alvarez, Venezuela's ambassador to the US, dismissed as “absurd” the GAO study's premise that Mr Chávez would purposefully shut off oil supplies, citing the economic impact it would have on his own country. Venezuela ships two-thirds of its oil to the US, or about 1.5m b/d and oil accounts for about 80 per cent of export revenue and half of fiscal revenue. However it should be noted that Venezuela is currently constructing super tankers to move its oil to China. Hugo Chávez, a cast of thousands of demonstrators and a guest appearance by Cuba's Fidel Castro made the July 20, 2006 summit of Mercosur, the South American trade pact, very different from those of the past. Normally a humdrum affair, full of dull deliberations about trade technicalities and pious hopes for a brighter, more integrated future, the presence of Venezuela's always-controversial leader in particular livened up proceedings. Having dropped the suit and tie sported at the Mercosur presidential summit earlier on Friday in favour of his customary olive-green fatigues, the Cuban leader's anti-US rhetoric was rivalled - if not in length - by a fiery warm-up address from his admirer, Hugo Chávez of Venezuela. Following formal accession this month, Venezuela is one of five full members of Mercosur, along with Argentina, Brazil, Paraguay and Uruguay. The bloc's area of influence now stretches from the Caribbean in the north to Patagonia in the south. Indeed, both Argentina and Brazil formally encouraged Bolivia to become the sixth full member of the group, while Mexico's foreign minister, Ernesto Derbez, said he hoped Mexico would become an associate member of the group - along with Bolivia, Chile, Colombia, Ecuador and Peru - before Vicente Fox's presidency comes to an end in December. On paper at least, Venezuelan membership ought to be good news, but for the U.S and the West, is it? Together, the pact's five countries constitute what should become a single market of 250m people. Intra-regional trade, already recovering strongly from the financial crises of 1999 and 2001-2002, should get a fresh boost from Venezuela's vast oil wealth - and Mr. Chávez. Venezuela, for example with Argentina, have also unveiled plans to jointly raise money on international markets, with a bond deal that Néstor Kirchner, Argentina's president, said could be “the first step in the construction of a multinational development bank, a financial space in the South”. See: Venezuela to put pep into Mercosur summit. One target of such a bank is to attack the hegemony of the U.S. dollar. Hugo Chávez's appearance at the Mercosur summit in the Argentine city of Córdoba will be just the first stage of his most extensive global tour to date. Over the next two weeks, the Venezuelan president will visit at least seven countries, mostly in Asia, plus, as he put it before his departure, “perhaps some in the Middle East and a few in Africa on the way”. Officially, the former army officer says his oil-financed mission is to deliver a “message of peace” and to “save the world”. But his journey will also entail a serious lobbying effort to secure diplomatic support for Venezuela's bid to secure a temporary seat on the United Nations Security Council that will be available soon. According to a report on Venezuela Analysis.com on July 19, 2006, Venezuela is being granted observer member status in the Arab League, which is also expected to support Venezuela’s bid for a UN Security Council seat. These two announcements coincide with the second Arab-South American Summit, which took place the week of July 19 in Caracas. These events of the recent weeks give further credibility of the Leftist/Marxist – Islamist Alliance and their control of world oil and other natural resources. Under the shadow of an escalating war in the Middle East, the second Arab-South American Summit got underway in Caracas. Building on the first ever meeting a year ago in Brazil, delegations from fifteen Arab countries and twelve South American nations are gathering for two days to assess the progress of political, economics, cultural, environmental, and technological agreements reached in 2005. In addition, leaders attending the summit focused attention on the host country’s admission into the Arab league, the UN Security Council bids of Venezuela and Egypt, and the current crisis engulfing the Middle East. In the first order of business, Venezuela was granted observer status in the Arab league. Membership will be formalized in September, when Venezuela joins its neighbor Brazil and several OPEC partners in the 22-nation group. More than 10 million people of Arab descent live in South America, most of them in Brazil. President Chávez also secured Arab League support for Venezuela’s UN Security Council bid. “We expect 22 countries to support the (Venezuela) candidacy.” Stated Ahmed Benhelli, Secretary General of the Arab League of Nations. With Arab League assistance, Foreign Affairs Minister Alí Rodríguez Araque on Tuesday guaranteed Venezuela has obtained more than the 128 votes necessary to win a non-permanent seat at the Security Council, as a number of international organizations have already agreed to support Caracas, including the Caribbean Community and Common Market (Caricom) and the Common Market of the South (Mercosur). In return for Arab league backing, Egypt is seeking South American support in its Security Council bid. This development comes on the heels of President Chávez’s harsh condemnation of recent Israeli attacks against Lebanon. On Sunday President Chávez bashed the “elite” in Israel, whom he accused of being aggressive at the behest of the United States. The incursions into Lebanon and Gaza were labeled “madness” by the President, as he went on to note Israel has nuclear weapons of mass destruction, “but nobody says anything because behind it is the empire” – a reference to the Bush Administration. It should be noted that Russia as a result of control of large hydrocarbon reserves is a major economic power to contend with. Europe is beholden to gas supplies from Russia. Russia supports Iran—both in support of the Hezbollah and the nuclear program and as a weapon supplier to Latin America-Venezuela and Africa. Russia and China are the leading members of the SCO with Iran in an observer status. Russia also holds observer status in the Organization of Islamic Conference (OIC). Russia on the one hand is challenging OPEC for oil dominance and simultaneously challenging the hegemony of the U.S. dollar through the oil weapon. These actions merge in the form of Leftist/Marxist – Islamist Alliance. From the Russian perspective, the Saudi role and OPEC model have benefited the United States, which can pressure Saudi Arabia into opening the spigot to deal with supply emergencies; the U.S. also pressures other oil producers, such as Libya, Iraq, Iran, Venezuela, and Indonesia, by military methods, diplomacy, and economic sanctions. In the Russian alternative, the U.S. will be far less influential, and have fewer levers, commercial or military, to effect pressure on the energy suppliers. Russian arms and defense-industry partnerships are on offer to relatively weak, intervention-prone energy producers in Africa and Latin America to offset U.S. pressure. A global movement toward the Russian model would greatly increase the impact of the oil weapon. In the OPEC model, the benchmark is Brent crude, priced in U.S. dollars. In the Russian model, the discount and disadvantage between the Brent and Urals benchmarks will be reduced, and pricing will evolve toward a currency basket, including the ruble. According to the Moscow Times on May 16, a senior economic official said Monday that Russia would have a domestic petroleum exchange—an idea backed by President Vladimir Putin last week—up and running by year's end, but experts doubted whether oil would trade internationally in rubles anytime soon. Deputy Economic Development and Trade Minister Kirill Androsov, who is also a Rosneft board director, said a domestic exchange for oil products would begin trading by the end of 2006 and an international exchange that would sell crude oil sometime in 2007, RIA-Novosti reported. According to Iran News and Iranian Culture Journal of July 6, Iran will start the initial phase of its planned Iranian oil bourse at the end of September. An oil ministry official told that his ministry had already presented the relevant documents to the economic and finance ministry and the bourse organization. See also: Structural Changes – Destruction Of The U.S. Dollar. In the OPEC model, suppliers hold much of their cash and government securities in U.S.-controlled institutions. In the Russian model, cash is held in the form of a currency basket; conversion from cash is sought into non-U.S. assets, particularly in the European market. In the Iran Oil Bourse oil trade would be Euro initally. In the OPEC model, investment in new energy reserves should be open to, and may be controlled by, U.S. corporations and foreign government national oil companies. However, in most Islamic countries, private and foreign ownership is governed by Islamic Law (Shariah) laws. According to the Topic Report: Access to Global Oil & Gas Reserves by Britt Dearman published January 23, 2006 Dearman is the originator and editor of Weekly Energy Perspective; IOC’s can participate to some extent in the upstream business in these countries, the bulk of the reserves ownership is dominated by countries with national oil companies (NOC’s). An estimated two-thirds of all global oil reserves are controlled by NOC’s. A large number of countries require that IOC’s partner with NOC’s in upstream developments or they allow IOC’s to provide only services. An internal Apache study estimates that IOC’s have full access to less than 10% of all of the world’s reserves. IOC’s generally have strict investment guidelines. Limited access to upstream investment opportunities tends to increase competition among IOC’s, which reduces the return for the eventual winners. In addition, countries are extracting more from IOC’s and/or changing the rules. For example, Russia and Venezuela have collected back taxes from companies because of new tax law interpretations. They have also used the state’s power to acquire assets or to force more favorable terms for upstream activity. The extraction of more money from oil companies is not limited to Russia and Venezuela. The U.K. raised the corporate tax rate on oil companies and some politicians in the U.S. are considering a windfall profits tax again. The timing for the U.K is remarkable because they became net importers of gas last year, thus making them partially dependent on Russian gas supply and are expected to become a net oil importer this year. The U.K. is taking away from oil company’s funds that could be reinvested to increase production and energy security in the country. Countries including Ecuador and Bolivia have also imposed new restrictions or nationalized the assets of the IOC’s. Even the Democrat controlled State Legislature in California is attempting to pass laws that are hostile to the IOCs, including a plan to tax windfall profits and a proposal to regulate refineries as public utilities. Some countries with NOC’s have different incentives than IOC’s such as security of supply. They have more at stake (e.g. - growing an entire economy) than earning a rate of return on its investment. NOC’s are also in a position to make different types of offers that IOC’s cannot match. For example, China NOC’s can work in countries that are off-limits to U.S. companies. China can also offer trade agreements and potential political support. IOC’s have the technology, the capital and the expertise needed to increase global production. The political actions of countries, state legislatures and potentially the actions of the Global Compact within the framework of the United Nations have done more to limit the availability of oil than any other factor. Demand for natural gas is rising rapidly. Russia and Iran control 50 per cent of global reserves. 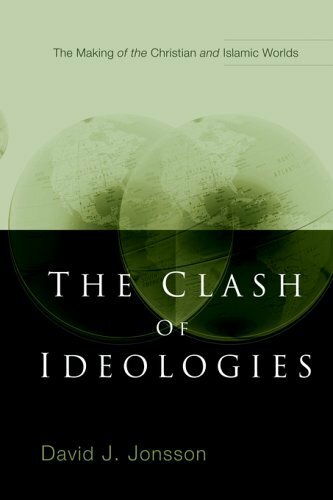 For a comprehensive analysis of the role of Petroleum Commons influence on the International Oil Companies (IOCs) see: Islamic Economics and the Final Jihad – The Muslim Brotherhood to the Leftist/Marxist – Islamist Alliance. In the Russian model, national companies, state-controlled champions, or joint ventures in which Russian interests are in the majority should control strategic reserves. According to MOSCOW Reuters on July 16, Russian state oil firm Rosneft, which last week raised $10.4 billion (5.7 billion pounds) in the country's largest-ever IPO, said on Monday the government would control around 85 percent of its stock after the flotation. Rosneft said in its final IPO prospectus the share of the Russian Federation would be 85.2 percent if the IPO's global coordinators do not exercise the over-allotment option, and 84.8 percent if they exercise it in full. According to John Helmer writing in the Asia Times on July 18, in the U.S.-backed OPEC model, national suppliers depend on U.S.-controlled market intermediaries, traders, pipeline and shipping companies, and retail distributors for access to markets and point of sale. In the Russian model, in exchange for access to Russian energy supplies, there will be Russian state-controlled champions in energy transportation. Russian state-controlled corporations will also have investments and influence over trade and market retail networks. The Russian model also extends to energy-convertible coal, uranium, and other mineral resources. Through negotiations for Russian accession to the World Trade Organization (WTO), the U.S., Australia, Canada and other resource-exporting states have sought to gain unlimited access to search and development of Russian mineable resources. The Russian model rejects this, and instead assigns priority and equity control of domestic resources to national resource companies. The model proposes tradeoffs and partnerships in resource exploitation in third countries, especially the developing states. The U.S.-backed OPEC model assigns international priority to the Arab states. The Russian model assigns priority to the Central Asian alliance, including China, India, and Iran—all members of the SCO; secondarily to Latin America (Venezuela, Brazil—Mercosur); and ultimately Africa. On this fundamental choice between the Russian and OPEC models, Russia is waiting to hear where South Africa stands. One thing is clear - South Africa's dependence on OPEC for its crude-oil imports has been growing. In 1996, 75% of South Africa's oil imports came from the Persian Gulf states, led by Iran. In 2003 - the latest year for which figures are available - this had grown to 78%. Saudi Arabia has also jumped ahead of Iran as the leading supplier. Nigeria is the leading African supplier of oil to South Africa, with 16% of total in 2003. Imports from Russia are possible, but have been negligible so far. The Sunnis are active in the terrorism war with bomb attacks on transportation infrastructure in London, Spain, and India. The Bangalesh and Pakistan links are also connected to the terrorist acts in India. Since the last few years, it came to light that ISI and various militant organizations based in Pakistan are using Bangladesh as a transit point for pushing terrorists into India. Indian security agencies have flight details and details of armed training camps in the neighboring country. With the tightening of security on the Pakistan border, export of terror from Bangladesh has become a reality, and the extension of the terror network to other parts of the country is a potential threat to India’s security. The Washington-DC based human rights group, International Christian Concern (ICC) has learned that Bangladesh's ruling party (the BNP) is becoming ideologically allied with fundamentalist Islamic elements within the country and is maneuvering to steal the upcoming election. If this effort succeeds it will have disastrous results for democracy and for Christians alike. If the BNP is truly in bed with Islamic fundamentalists, it is no wonder that Islamic militants have been so successful in carrying out terrorist attacks in recent months. Within the past year more than 30 have died and 150 have been wounded in terrorist attacks by Muslim extremists, including two Christian health workers who were hacked to death on July 29, 2005. The totalitarian temptation remains powerfully in place. Muslims across the world are drawn by the apocalyptic teachings of Islam with its slogan “Islam is the solution.” That was the case from Iran in 1979 to Algeria in 1992 to Turkey in 2002, to the Paris riots in 2005 to the actions of the Hezbollah and Hamas in recent weeks. The world stands today at the precipice dividing the eras of the post-Cold War which we have know since 1989–one of expanding democracy and free markets–and a new world order which is unknown and certainly a much less prosperous and friendly place. The Leftist/Marxist - Islamist Alliance through joining together a global cabal of nations for the control of the world’s energy infrastructure, finance, media and transportation assets present a real and current danger to the West. The cost of defending a policy of Energy Interdependence as a cornerstone of foreign policy is huge in terms of potential loss of lives and impact on our economy. The West and particularly America cannot maintain our economy by assuming that the developing world along with the “recycle” of oil wealth will continue to provide a market for debt and our energy resources without extracting the huge price of our security, freedom and liberty. Spreading democracy requires us to take responsibility for our financing and energy needs. A program leading to Energy Independence is both feasible and desirable. The risk is failing to act now to make the world a safer and environmentally sustainable place for our children to grow up. See: Give Me Energy Security And I Will Give You A Foreign Policy.